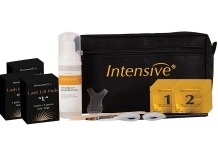 Biosmetics have launched two lash/brow tint and lifting kits exclusive to Hennessys. 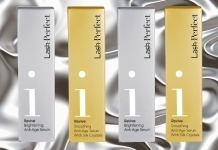 The Biosmetics Intensive Lash Lift Kit (pictured above) includes everything you need to perform up to 10 professional lash lift treatments in the salon, with Perming and Lifting Lotion, Lifting Shields and accessories. 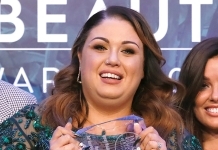 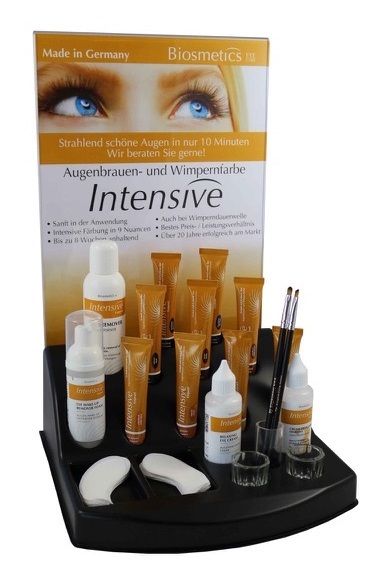 The Biosmetics Professional Tint Display features nine different shades of Biosmetics tint for lashes and brows, which can be combined with the brand's eyelash perming products. 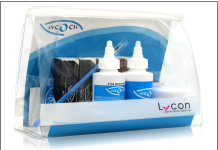 The display enables you to store your products efficiently and hygienically, and includes everything you need to perform lash tinting in your salon including: 20ml Tints, Tint Remover, Developer 3%, and accessories.